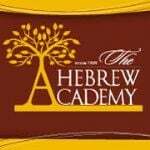 The Hebrew Academy is a K-12 Jewish Day School in Huntington Beach, CA. Now that HA is almost 50 years old, it has a growing network of successful professionals and families around the world. This group is dedicated to connecting those alumni and creating a venue in which alumni can promote businesses, develop new prospects, share ideas and seek/offer internship opportunities and more.